Post your Just Code Challenge Week 9 Projects in this conversation! The blog post with my project will is published on Fridays and I'll update this conversation when this it is published. So whenever you finish your week 9 project, go ahead and post it here. Have fun and be sure to download other projects and discuss! The color selector of RISC OS is particularly simple and innovative: two colors accessible directly and the third one to change the palette of the whole set. DynamicColorPicker.ShowModal displays the color picker. DynamicColorPicker.selected allows you to read and write the color. Improvements are possible: custom sliders, other color models, threads, etc. · Gavin S and Rutger d like this. For week 9 of #JustCode, my project is a web app that demonstrates a web service, JSON and SQLite. The web app functions as both an app with a UI and a web service. 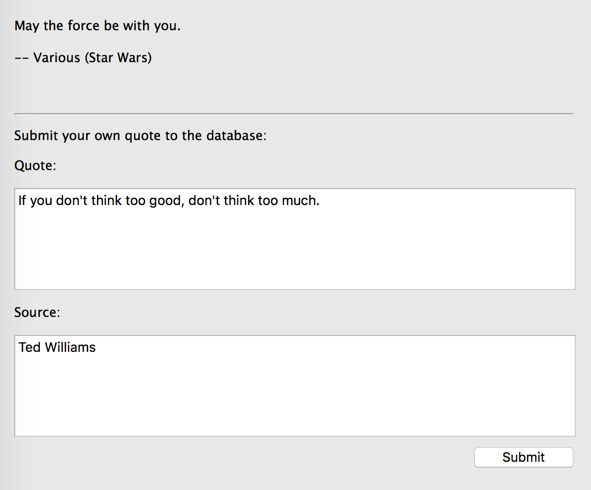 It lets you enter your own quotes which are saved in a SQLite database. The web service randomly fetches a quote and returns it as JSON. The download also includes client desktop and iOS apps to accompany the web app. · Rutger d likes this. This week I programmed a little simple SQLite Viewer. You can also type SQL Commandos, but the syntax highlighting and a few other things are missing. For now it is useful and I will continue to develop it in the future. · Jeremie L, Jean-Yves P and Rutger d like this. Some years ago I wrote a simple base64 encoding/decoding tool using C# and WinForms. But since it only works on WIndows platform I thought it would be worth re-writing it using Xojo. 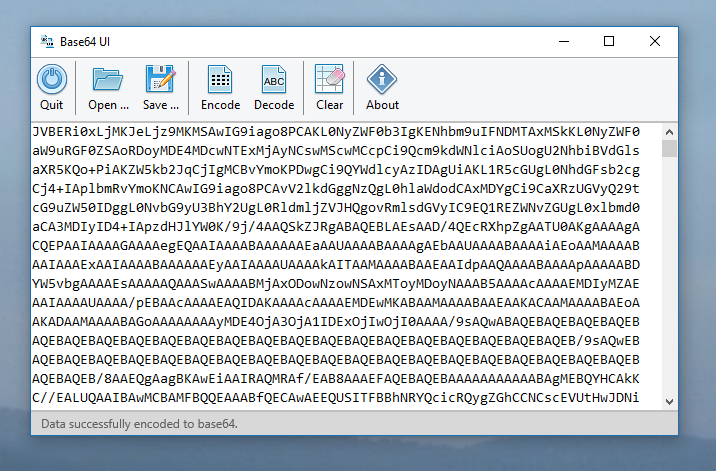 And here it is, a simple base64 UI for Mac and Windows (maybe also running on Linux but I havn't tried). You can enter text or paste text from clipboard and encode or decode it easily. You also can load files, even binary files. The UI does not display binary data but keeps it in its buffer, so that decoding and encoding also works with non-text formats. Furthermore there is a simple routine which tries to detect the file-format when binary data was decoded, so that the user gets an idea of what file-extension he sould give the decoded data when saving to file. Sourcecode can be downloaded here . · Anthony D likes this. This is simple example of a „Minesweeper“ game programmed in Xojo. It does not have all the features of the full game but the basic things are working. · Gavin S, Anthony D, Jeremie L and 3 others like this. 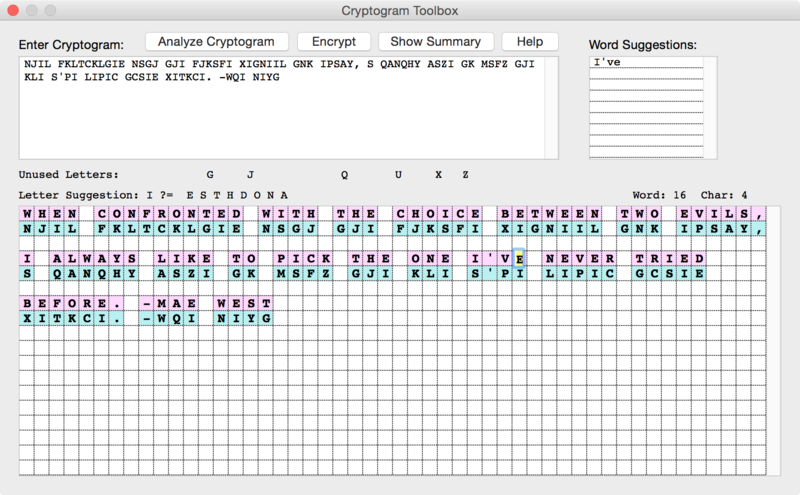 Continuing the theme of puzzles and games, my entry for this week is a tool that helps the user solve cryptogram puzzles. It does letter frequency analysis and other lexicographical analysis to come up with a list of suggested letter substitutions. It also sets up an interactive solving grid which makes it faster to enter plaintext letters. Entering a letter in one position fills in the letter in all other positions where the same ciphertext letter appears. · Anthony D and Rutger d like this. Pfff have to say I still had to change some things on my previous programs after seeing all the differences when running the Windows version. But hey, they work better now and I am learning from this project. 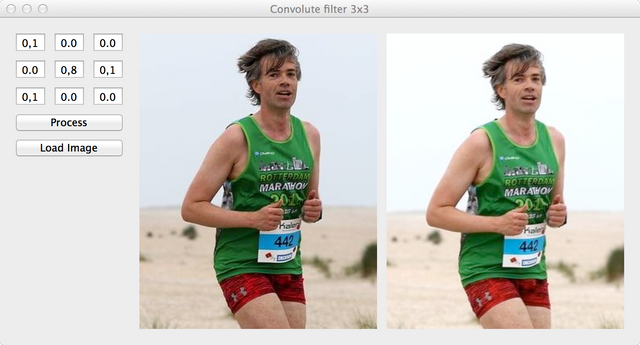 First post of this week is a simple convolution filter running on the RGBSurface. It is not really advanced, but I want to learn more about creating Pictures in the coming weeks. The picture displayed in the example is by Jeroen Tibbe, a dutch sports photographer. · Jay J likes this. · Paul L likes this. Yes, the idea was to show what can be done with Xojo and the project file. Sorry, I tried to edit my post and deleted it instead. I didn't see the link at first that's why I post that. Now I see that the download only has the app, thanks for pointing that out. No need to compile, you are only required to submit your project to complete the challenge. And my second project this week. 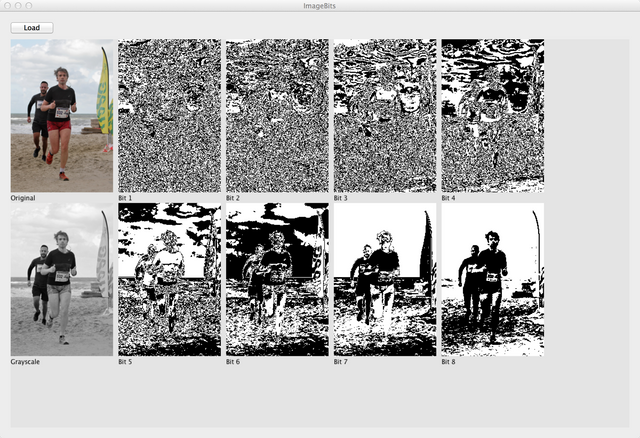 I was inspired by an introductory text on image processing: not all bits of the pixels are of equal importance if you want to do image recognition. Knowledge that might safe you work. So I had to try and see if I could make it more insightful, as in the picture of the book. Even though the project is easy in itself, I did have to delve into a lot of little topics as it has been a while since I really used Xojo for images. @Emile S Project link, please. Sorry, I did not read that the source code needs to be published for the challange and I have not found a way to edit my post. · Anthony D, Emile S and Jean-Yves P like this.